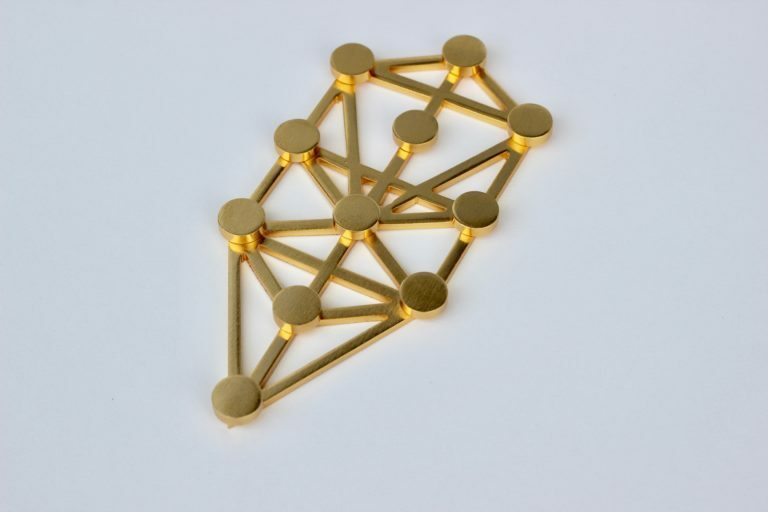 The Tree of Life Tool is a Brass based handcrafted Tool that is Gold 24k plated energy tool. The Tree of Life is one of the most notable symbols in sacred geometry. 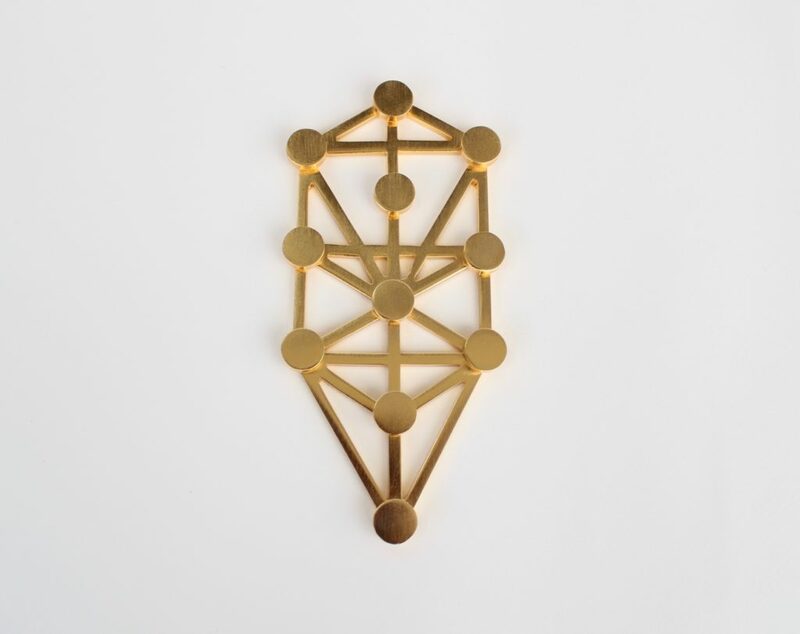 The Tree of Life, or Etz haChayim (עץ החיים) in Hebrew, is a classic descriptive term for the central mystical symbol used in the Kabbalah. 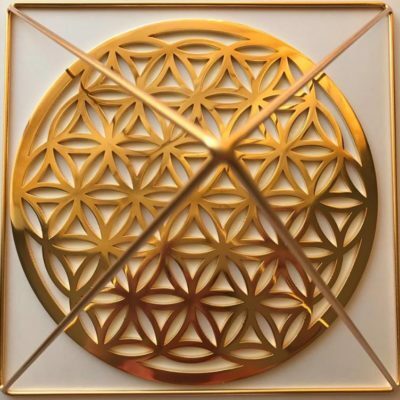 Like the Seed of Life, the Tree of Life is derived from one source pattern – the Flower of Life. The Tree of Life that is a complex formula of existence, the flow of creation from the Divine to Earth and back to the Divine. 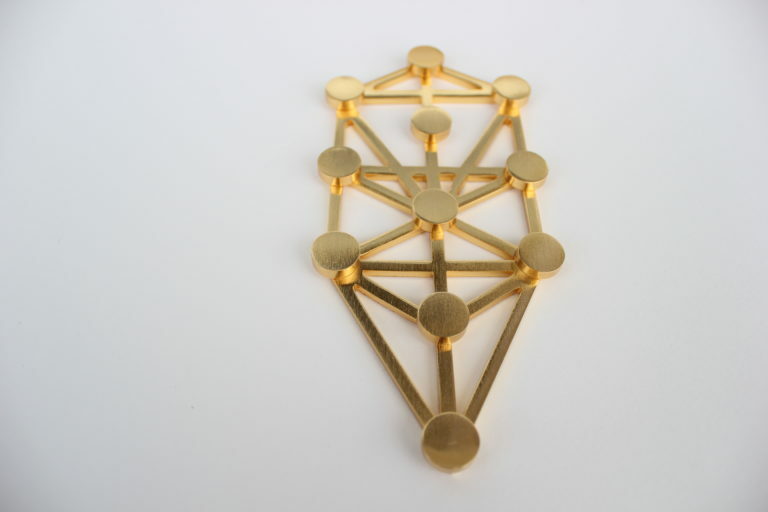 It is the Tree of Life and Knowledge, a magical key to how life manifests itself. The Tree of Life is comprised of ten Sephiroth, with twenty-two paths interconnecting them. The left column is called the Pillar of Severity. It represents the female aspect of creation and contains three sephira: Binah (Understanding), Geburah (Severity) and Hod (Splendor). The right column is called the Pillar of Mercy. 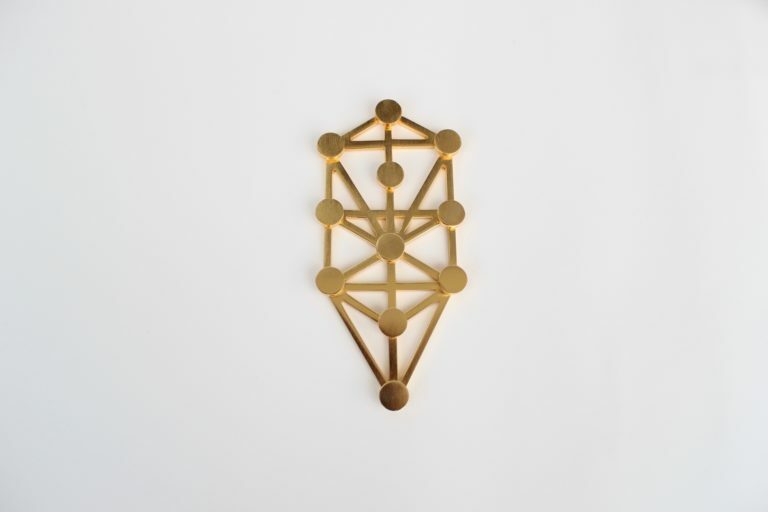 It represents the male aspects of creation and contains three sephirah: Chokmah (Wisdom), Chesed (Mercy) and Netzach (Victory). The middle pillar is called the Pillar of Equilibrium. It represents the balance between the male and female pillars. It contains five Sephirah: Kether (Crown), Daath (Knowledge), Tiphareth (Beauty), Yesod (Foundation) and Malkuth (Kingdom). 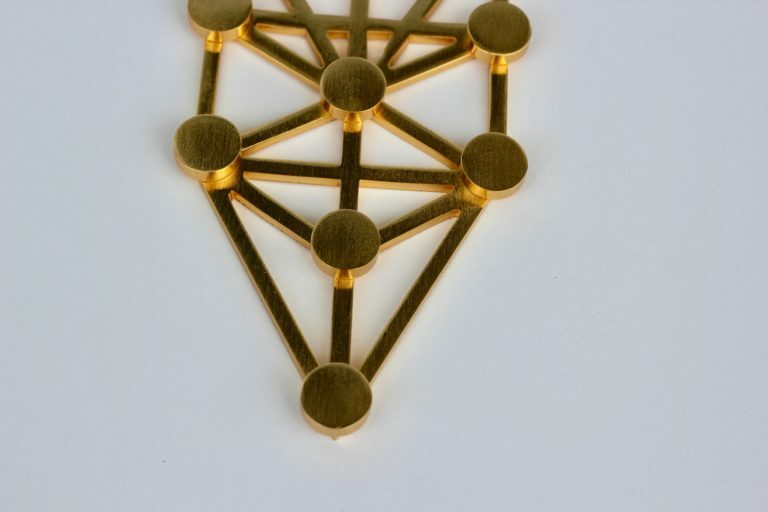 The Tree of Life is an amazing tool you can hang it over any area bed, healing room, desk etc. You can hold it on your hands during meditation, when you chanting or if you are practicing chakra cleansing sessions or reiki is a powerful tool for energy flow. 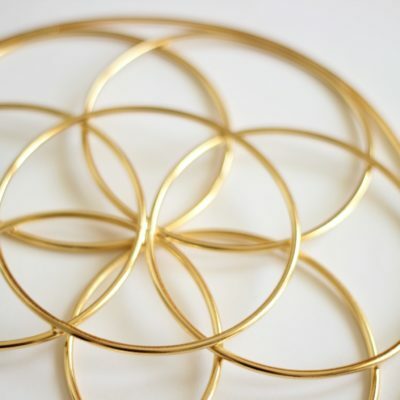 The propose is to transform the energy of any space, increasing natural Chi energy. 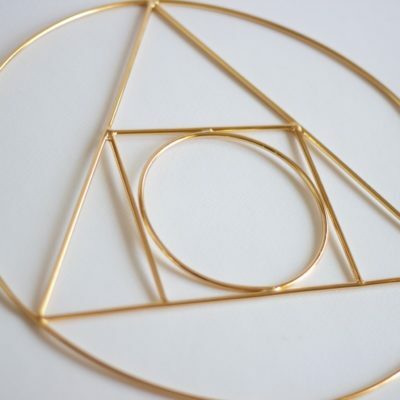 Sacred geometry is the divine order found within all nature and is used to awaken higher energies, align to the Soul and raise consciousness, allowing for the deepest levels of meditation, relaxation and healing. * Helps with channeling, cleansing, purifying and increasing self-esteem and freeing the wearer of mental burdens. 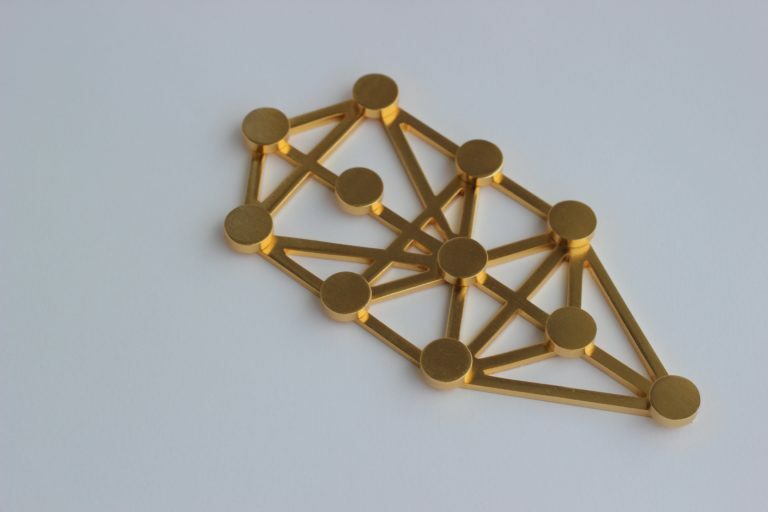 * Sacred space tool, will help you to transform, transmute and protect from negative energies.